 Conservatories have many more uses than a simple summer room, a lot of people shut the blinds and lock their conservatory doors during the winter and leave it abandoned until summer arrives again. But why do that when you can bring Christmas into your conservatory with our conservatory ideas? Why Use Festive Conservatory Ideas? To get into the Christmas spirit! What better way to celebrate and enjoy the Christmas holidays than to cover your home with festive holiday decor? And conservatories are not just for relaxing in the summer they can be used for a variety of different things. Many homeowners believe that in the winter your conservatory is a no go, and the doors are locked up, and nobody enters for months. But this shouldn’t be the case, as long as you have double glazing Northampton and ensure that all of your doors are draught proofed, then there should be no reason as to why you cannot keep your conservatory. As long as your boiler is inefficient working condition and your home is adequately insulated then your conservatory should not cause any severe changes to your energy bills. So although you can still use your conservatory in the winter time during the Christmas holiday, what can you use it for? Well after extensive research we have come up with a few different ideas that will make your conservatory the perfect family Christmas room this year – so keep reading! Your family Christmas tradition might be endless games of frustration with your entire family, but why not mix it up a bit and settle for rounds of karaoke with all of your family members? Pair up and duet to the Grease classics or classical Disney soundtracks. Karaoke can be a great way to spend your afternoon, and instead of using the living room conservatories Milton Keynes are a great alternative! Furnish your conservatory with a coffee table, a sofa, chairs and of course a television to make your conservatory a comfy environment for Christmas day. For those extra cold days why not offer your family and friends cosy blankets and pillows to make themselves comfortable during the karaoke battles. If you love Christmas but don’t want to turn your entire living space into Santa’s grotto, then this could be perfect for you. Instead of opting for full Christmas decor in your main living space why not shift it all over into your conservatory and create a winter wonderland masterpiece for all of your guests to marvel at. Include Christmas wreaths, giant santa figurines, fake snow, candy canes, gingerbread men and as many Christmassy themed decorations that you can think of. And if you’re lucky enough to enjoy a white Christmas then why not use the snow in the back garden to make snowmen in your garden to add to the theme. Spray your windows with fake snow and hang up Christmas garlands, of course, this room isn’t just for looking at – bring the Christmas celebrations into your conservatory for the ultimate festive party! Relax after a long day of celebration with a warm cup of tea, help unwind your family and friends with a selection of fruit, herbal and standard tea to ease them down after a long day. But with this many people at your home, it can be hard to seat everybody in your kitchen or living room – and spillages happen more often than not on your freshly cleaned living room carpet! So bring the tea tasting session into your conservatory, the heat will keep you and your friends warm and cosy as you all unwind and relax with a tea and blankets. And this doesn’t just have to be a use for your conservatory over the Christmas period! Transform your entire conservatory into a dining room/tea room so that whenever you have guests over you can enjoy a gossip over a hot cup of tea in the conservatory undisturbed. For ultimate comfort for you and your guests decorate your conservatory beforehand and feature it with cute flowery paintings and delicate decorations – along with seating and tables. We love this gorgeous teaset from Cake Stand Heaven that is perfect for any tea time occasion! If you and your family are a competitive bunch, then we’ve got a way to make winning feel a lot sweeter, transform your conservatory into a games room for your whole family to play endless traditional Christmas time board games. Monopoly, Frustration, Trivial Pursuit, Charades are an all-time favourite for most families, so why not furnish your conservatory with tables and chairs to let your family compete to find the ultimate winner. Add a table stacked with buffet food and snacks to keep your family and friends going through the battling. Or if your family are more tech-savvy then why not move the TV out of the living room and wire up a games console, you will be set hours of fun, and you can even add in some beanbags to make the experience even more comfortable. And what would be Christmas without ending the day curled up on the sofa watching the soaps or a film with your closest friends and family? But your living space might limit you to how many people you can do this for, unless you have a room dedicated to your family movie marathon. Take all of the furniture out of your conservatory and leave over any sofas already in there and a table. Then put your couch in the conservatory and put pillows, bean bags and cushions on the floor – whatever you can find to make the floor comfy! Then bring in the duvets and blankets and have your guests relax and unwind and spend family time together watching films. Get Your Conservatory Ready For This Christmas! And now Christmas is fast approaching it’s time to get your home in the wing of things, so by using these festive tips you can bring your family together during the festive season as well as get good use out of your conservatory – for no extra cost! We hope that this article was helpful, if it was then why not share on social media?